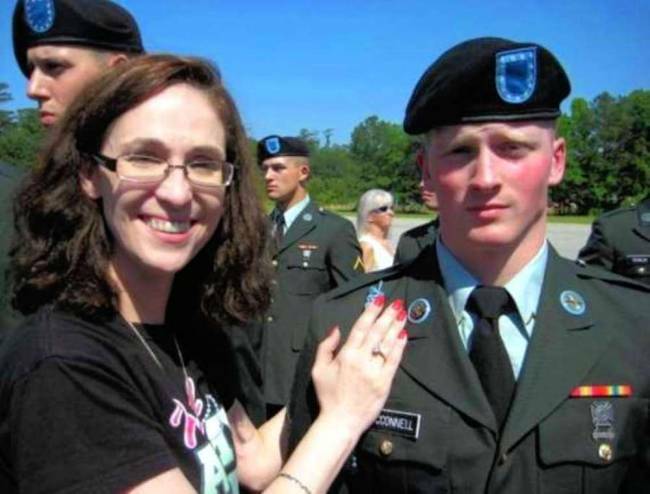 As Memorial Day approaches, I keep thinking of a young man I met in March 2012, at the Walter Reed National Military Hospital in Bethesda: Sergeant Derek McConnell. I spoke with many devastatingly young men and women that day, in wheelchairs, with crutches or canes, with scars and burns. I remembered Derek because of his broad shoulders and fresh, baby face, as well as his mother who shared my first name, another Siobhan who lived with a lifetime of mispronunciation. Derek had "the map of Ireland on his face" -- red-haired, fair-skinned, smattering of freckles, a mischievous look in his eyes. On July 23, 2011, on patrol in Kandahar, Afghanistan, Derek was struck by an improvised explosive device while trying to rescue a fellow soldier. He lost his left leg from the hip and the right leg just above the knee and received blast wounds, including a fractured right arm, a skull fracture and kidney damage. A year and a half later, while I was chatting with his mom, he was doing wheelies in his wheelchair and joking around with his glossy-haired fiancé in the hospital foyer. His mother told me a little about Derek's ongoing recovery, the thirty-three surgeries, transfusions, dialysis. His vitality and pluck stayed with me, but I was haunted by this other Siobhan, this woman about my age, her ready smile and capable attitude. From New Jersey, she had moved to Maryland and utterly dedicated herself to her son's recovery. I was pregnant at the time with a four year old at home, and I couldn't imagine finally handing a child over to adulthood, having vigilantly gotten him that far, safe and whole, and then to have him return to me wounded, missing limbs, needing to learn to walk again. On March 18, 2013, scanning my Facebook feed, I read that Derek had died at Walter Reed. The young man who had fought again and again couldn't fight the impossible odds anymore. And then there is one of my husband's closest friends, Captain KJ Smith, who my husband knew since he was 14. I remember meeting KJ while bartending one very busy night at my father's Irish pub. He was off to the side, waiting patiently as thirsty customers waved money in the air and I slung pints and brimming wine glasses. He stood above everyone else, exuding the contained physical power of a star athlete, with thick black eyebrows and eyes wide with kindness when we finally shook hands. 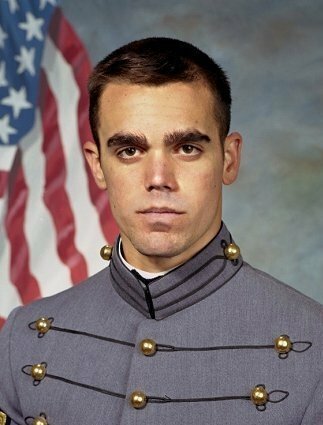 KJ had given up soccer scholarships to go to West Point and worked doggedly to join that long gray line. He was planning to propose to his girlfriend on mid-tour leave when he died in Baghdad on December 8, 2005, his humvee hit by an IED. When I see the Memorial Day photos of Arlington, row upon row of engraved names, I know those simple white markers and small fluttering American flags represent the entire lives of men and women like Derek McConnell and KJ Smith. Young, healthy, strong, willing to go places most of us don't even Google. They are the boys running across a soccer field, the kid bagging your groceries, the high-schooler getting straight As in science, the girls playing varsity volleyball, every one of them somebody's child who had an entire life of promise ahead. They are our own children in a couple of years.